Home or office we eliminate bugs, spiders, roaches, ants, scorpions, rodents, bees, weeds and more! 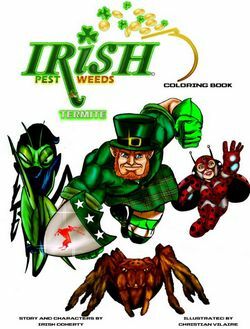 Why are you in LUCK with IRISH Pest, Weeds, & Termite Control Service? We back our all of our Pest and Weed control services with a 100% Satisfaction Guarantee! We have built a successful business by ensuring that our customers are always happy. At Irish Pest, Weeds, and Termite, we keep our promises. We are committed to doing whatever it takes to keep our customers satisfied! We offer both Commercial and Residential Pest & Weed Control Service at the low prices you deserve, all backed by the same 100% Satisfaction Guarantee! Contact us now to get a free, no obligation Pest or Weed quote. We promise your bad luck with pests and weeds will change for the good for as long as you allow us to continue to service your home! No Hidden Fees, Same Low Price! We aim to provide high quality services at the lowest possible prices. We deliver our low-cost services without the hassle of hidden fees or 'add-on' costs. We value our customers! That is why we do not charge start-up fees for new pest or weeds services! When we give you a quote, that's the price you will pay and not a penny more. Who could object to that? Only our competition of course! At Irish Pest, Weeds & Termite, you will always pay the lowest price, guaranteed! We Warranty ALL SPECIAL SERVICES that have EVER been done by us (such as gophers, bees, treated pigeon areas, termites). But, as a bonus, we also offer a LIFETIME WARRANTY on THESE SAME SPECIAL SERVICES as long as pest control service is done by us and continued without interruption! At Irish Pest, Weeds, and Termite, we understand the importance of hiring technicians that are courteous, helpful, friendly, and trustworthy. As a result, all of our technicians undergo an extensive screening process. In addition, we make every effort to ensure that the services that we deliver are safe, efficient, and effective. Our technicians are trained to ensure that each service is performed to your level of satisfaction. Our courteous and conscientious technicians are dedicated to addressing any needs or concerns prior to their departure. The technician providing your service will also perform a routine check in common areas that pests like to hide to ensure that your home or business is pest free. Irish Pest, Weeds, and Termite does not believe in contracts. The aim of our business is to deliver the highest QUALITY in pest control services. We owe the growth of our business to the quality service that we provide our customers. This QUALITY service, not an annual contract, is what guarantees repeat business. We stand behind the services that we provide. If you require additional treatments prior to your next scheduled visit, we are more than happy to send one of our experienced technicians to your home or place of business at NO additional charge. If you are in Maricopa or Pinal County and need pest or weed service, please contact us immediately. Although our company is based in Surprise, Arizona, we proudly service the ENTIRE Phoenix area, as well as the outlying areas of Casa Grande, Eloy, Coolidge, and Apache Junction just to name a few. Our warranties follow you to your new home (of the same size) if you decide to move. We offer an additional discount to customers that reside in communities where there are 100 or more people that utilize our services. Ask any one of our experienced staff for more details! We can turn ANY termite service into a LIFETIME WARRANTY. If you use us for your ongoing pest control, you are eligible for our lifetime warranty extension program. Click the seal for details! Click the image below for our printable PDF color book! We have all the certs that Arizona offers! We also have more Qualified Party Licenses than most of our competition . . . so this means you don't have to hire several companies to get the job done! We can turn ANY termite service into a LIFETIME WARRANTY. 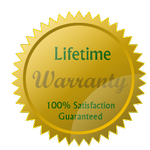 If you use us for your on going pest control, you are eligible for our lifetime warranty extension program - click seal for details! We are proud to serve the following communities! Irish is your best choice for standard and organic Pest Control Services, Beehive Removal, Weed Control, and Termites for your home and office in all the following communities .... Anthem, Apache Junction, Avondale, Buckeye, Carefree, Casa Grande, Cave Creek, Chandler, Coolidge, El Mirage, Eloy, Florence, Fountain Hills, Gilbert, Glendale, Goodyear, Guadalupe, Litchfield Park, Maricopa, Mesa, Paradise Valley, Peoria, Phoenix, Queen Creek, Scottsdale, Sun City, Sun City West, Surprise, Tolleson, Youngtown and all the greater Phoenix Arizona area. Irish offers discounts, no annual contracts, a special lifetime warranty and many more exceptional reasons to call to arrange your next weed or pest control service with Irish Pest, Weeds, and Termite. Don't hesitate. Call today! Copyright 2012-2019. All Rights Reserved. Irish Pest, Weeds, Termite Control, Surprise, Arizona.